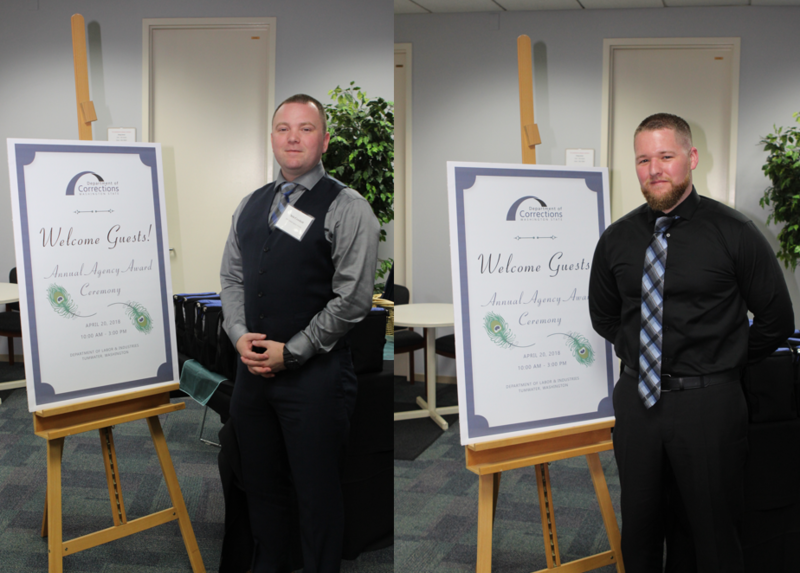 CLALLAM BAY – Two State of Washington Department of Corrections officers recently received a valor award for rescuing a co-worker. 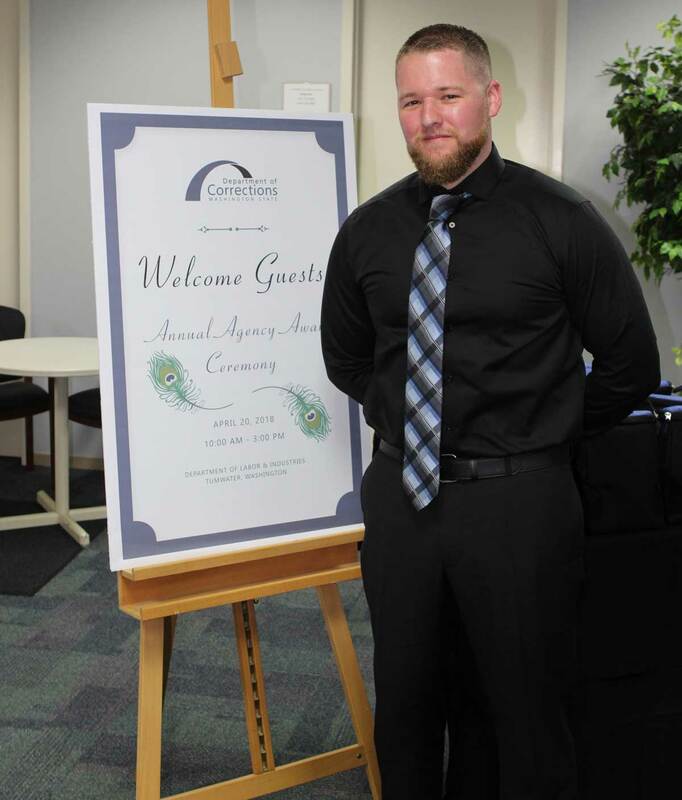 Christopher Crockett, a correctional officer at Clallam Bay Corrections Center (CBCC), along with Casey Spoor, a former CBCC correctional officer who now works at Stafford Creek Corrections Center near Aberdeen, were given the award after providing assistance to a co-worker who sustained injuries from a car accident in Clallam County. 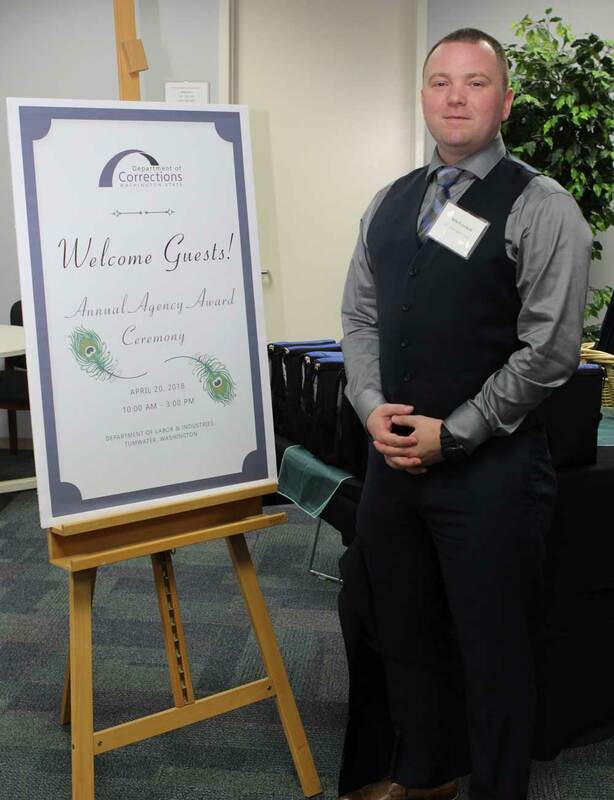 Crockett and Spoor were given the award during the annual agency award ceremony in Tumwater on April 20, 2018. Crockett and Spoor had just finished their shift one night in December 2017. Temperatures were below freezing and many roads in the county were slick with ice. The two officers were traveling on Eagle Crest Way when they noticed some marks on the hillside that made them do a double-take. As they got closer, they saw a trail of debris leading to the edge of a ravine. When they peered over the bank, they saw a pair of headlights from a truck piercing the darkness. Inside the truck was one of their co-workers, a fellow correctional officer, Steve Milstead, who appeared to be injured. The correctional officers called 911 and staff at CBCC. A Quick Response Strike Team, which is a type of emergency response team, was deployed to the scene. The team included CBCC registered nurse Kim Cleveland. Crockett, Spoor, and Cleveland stayed with their co-worker while waiting for an ambulance to arrive. Unfortunately Correctional Officer Steve Milstead passed away from complications while recovering in the hospital on April 27, 2018.